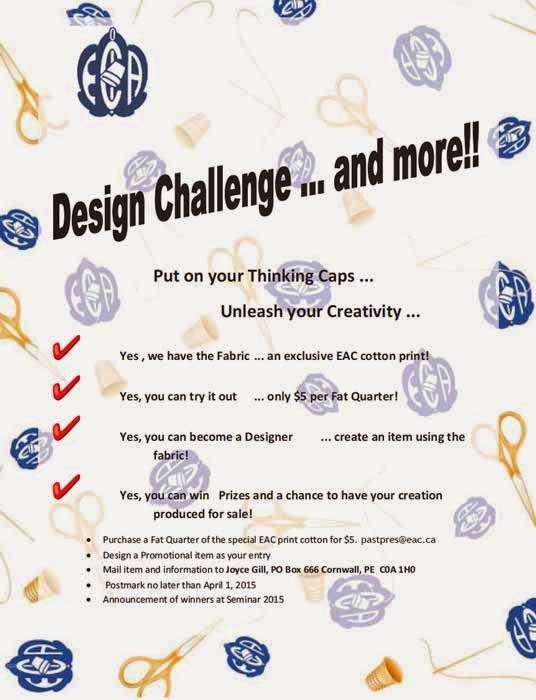 Embroiderers' Association of Canada, Inc.: Are you up for a Challenge ? Nordic Needle challenged their newsletter readers awhile back with a “Show Us Your Green” Shamrock Challenge. 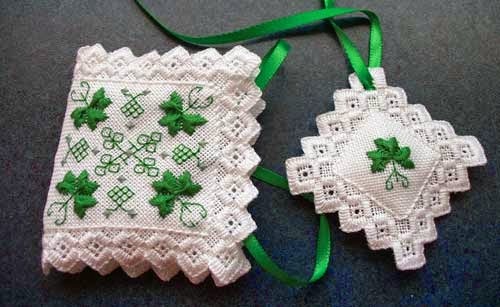 Five items were designed, stitched and sent in, two of which were from EAC members. Congratulations Kim Beamish and Jenny Wolter! 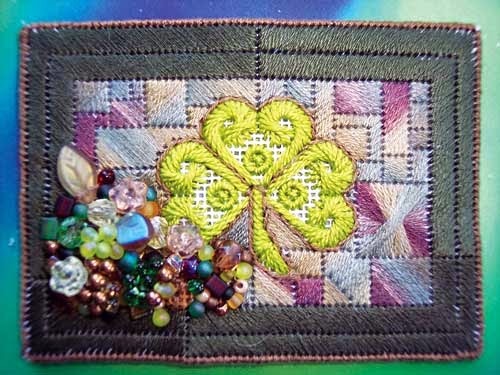 This first one is an original needlebook and scissor fob designed and stitched by Kim Beamish. Jenny Wolter designed and stitched this Artist Trading Card on canvas. Both of these entries illustrate the talents of EAC members in both designing and stitching! EAC offers at least one challenge every year. This year at Seminar we were challenged to make an article from the new EAC fabric. You have until April, 2015, to get your item made and sent in so no excuses!